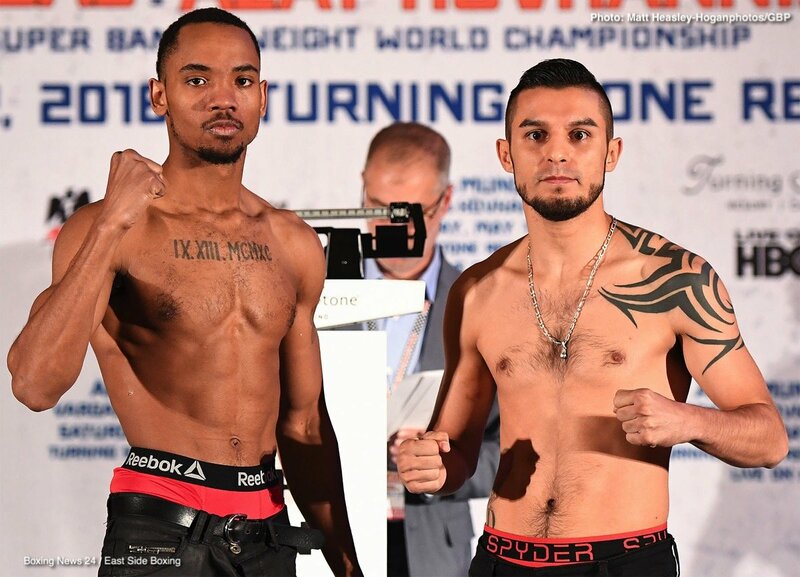 Saturday’s World Champion Boxing® telecast begins at 10:00 p.m. ET/PT. 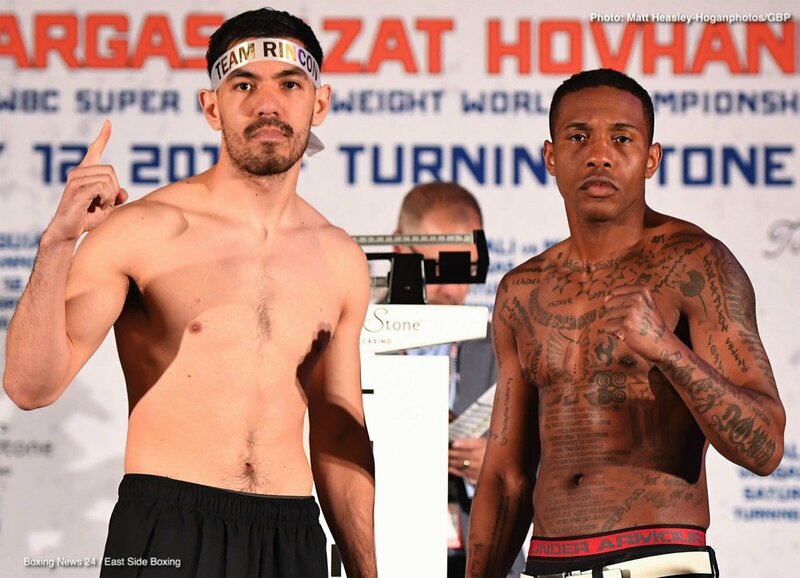 Opening the telecast at Turning Stone Resort Casino in Verona, N.Y. is Rey Vargas vs. Azat Hovhannisyan in a 12-round super bantamweight title bout. 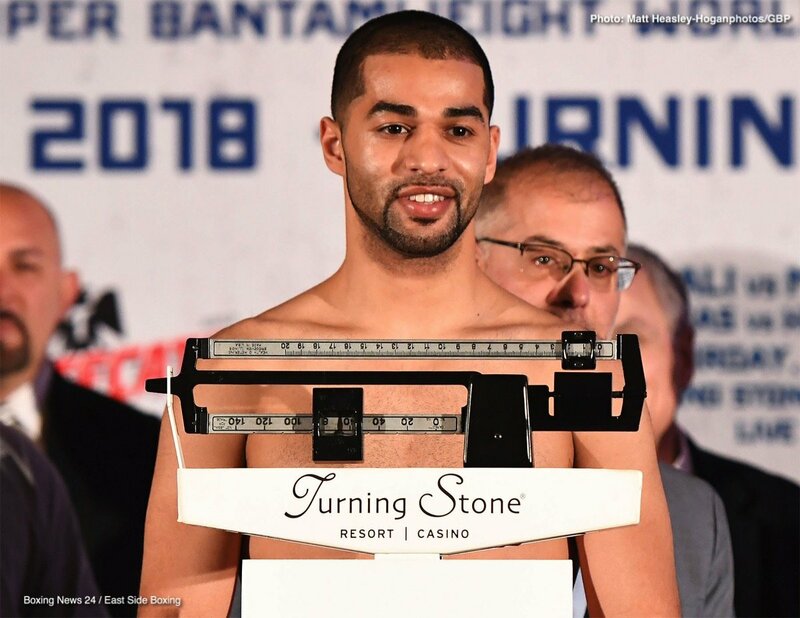 In the main event junior middleweight champion Sadam Ali defends his championship against Jaime Munguia in a 12-round bout. HBO Sports presents another WORLD CHAMPIONSHIP BOXING card from the Empire State, this time visiting Verona, for SADAM ALI VS. JAIME MUNGUIA AND REY VARGAS VS. AZAT HOVHANNISYAN, to be seen SATURDAY, MAY 12 at 10:00 p.m. (live ET/tape-delayed PT) from Turning Stone Resort Casino, exclusively on HBO. The HBO Sports team will call the action, which will be available in HDTV, closed-captioned for the hearing-impaired and presented in Spanish on HBO Latino. 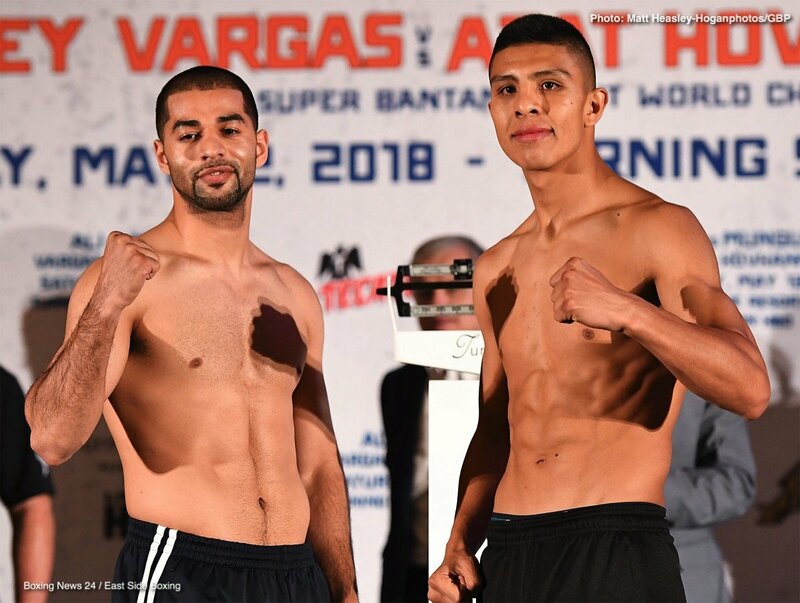 The main event is a junior middleweight title showdown, as Brooklyn’s Sadam Ali (26-1, 14 KOs) defends his crown against rising challenger Jaime Munguia (28-0, 24 KOs) from Tijuana, Baja California, Mexico, in a scheduled 12-round bout. The 29-year-old Ali played spoiler at boxing legend Miguel Cotto’s retirement fight last December, and now looks to build his own legacy. Munguia jumped at the chance to compete for a 154-pound title belt when Liam Smith withdrew due to illness. Though just 21, the undefeated fighter has started to make noise in the deep, talented junior middleweight division. 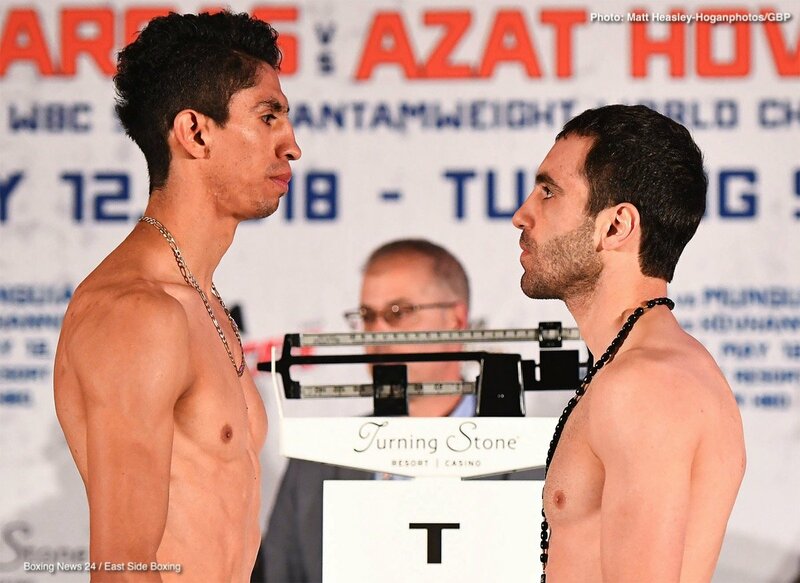 The opening bout features undefeated Rey Vargas (31-0, 22 KOs) from Otumba, Mexico taking on Azat Hovhannisyan (14-2, 11 KOs) from Yerevan, Armenia, now living in Los Angeles, in a scheduled 12-round super bantamweight title fight. The undefeated Vargas boasts a 71% knockout-to-win ratio and will be making the third defense of his 122-pound belt. He recorded three wins in 2017, most recently besting the previously undefeated Oscar Negrete on HBO. Hoyhannisyan, who has a 70% knockout-to-win ratio, is on an eight-bout winning streak after a majority decision loss in 2014; his only other loss came in his four-round pro debut in 2011. Known as “Crazy A,” he won all three of his bouts last year, and scored a sixth-round knockout of Ronny Rios on March 9. 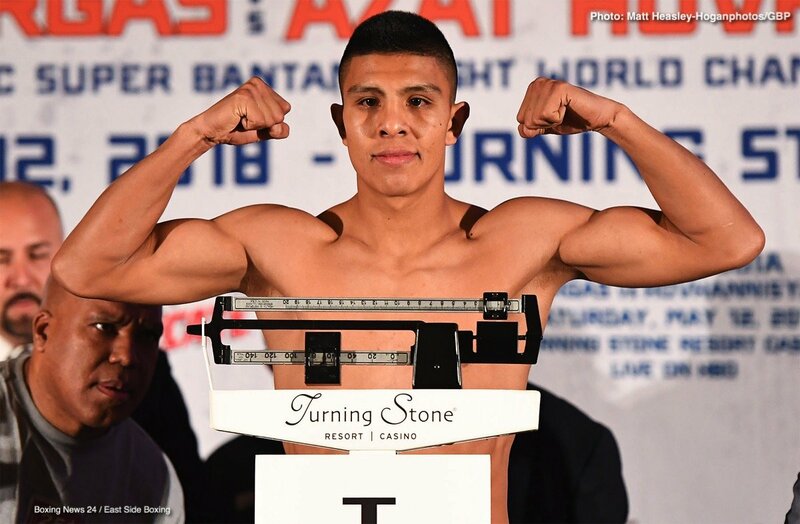 Jaime Munguia (28-0, 24 KOs), the dangerous undefeated 154-pound contender of Tijuana, Baja California, Mexico, will step in to challenge Sadam “World Kid” Ali (26-1, 14 KOs) of Brooklyn, N.Y. in a 12-round battle for the WBO Junior Middleweight World Title on May 12 at Turning Stone Resort Casino in Verona, N.Y. 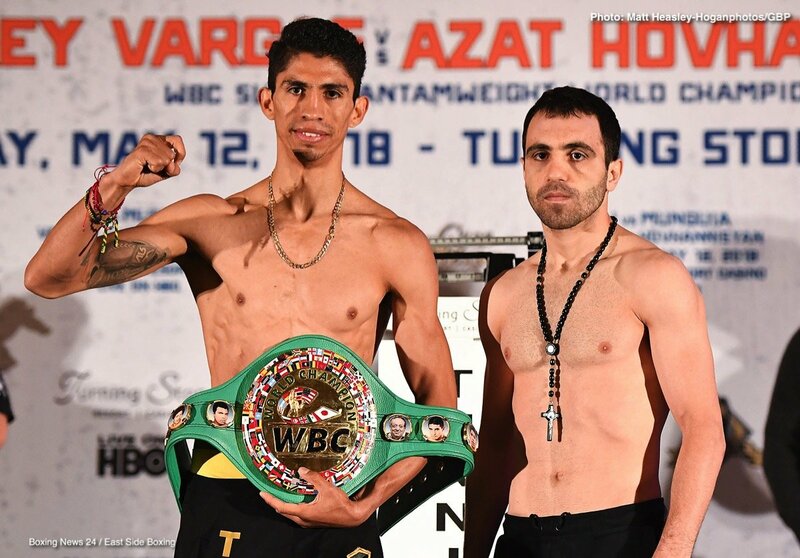 The co-main event will feature Rey Vargas (31-0, 22 KOs) and Azat “Crazy A” Hovhannisyan (14-2, 11 KOs) in a 12-round clash for the WBC Super Bantamweight World Title.The doubleheader will be televised live on HBO World Championship Boxing beginning at 10:00 p.m. ET/PT. Munguia will replace Liam “Beefy” Smith, who was forced to pull out of the fight against Ali due to an illness. 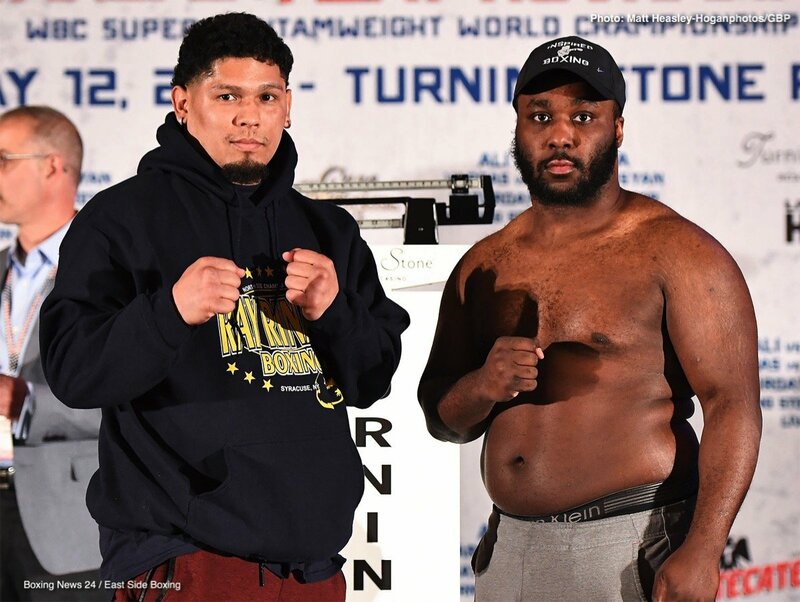 This dangerous 21-year-old puncher has ended 24 of his fights by stunning knockout and will look to take advantage of his first world title opportunity as he returns to the United States for only the second time in his career. Ali, a 2008 U.S. Olympian, was unfazed by the change. The 29-year-old champion silenced all doubters by defeating Miguel Cotto via unanimous decision in Dec. 2017 to win the title he currently holds. Ali will look to defend his title in a dangerous battle against a young contender. Ali vs. Munguia is a 12-round fight for the WBO Junior Middleweight World Championship presented by Golden Boy Promotions in association with Zanfer Promotions. Vargas vs. Hovhannisyan is a 12-round battle for the WBC Super Bantamweight World Title presented by Golden Boy Promotions in association with Promociones del Pueblo. The event is sponsored by Tecate, “THE OFFICIAL BEER OF BOXING” and Casa Mexico Tequila. The event takes place Saturday, May 12 at Turning Stone Resort Casino in Verona, New York. Doors open at 5:00 p.m. 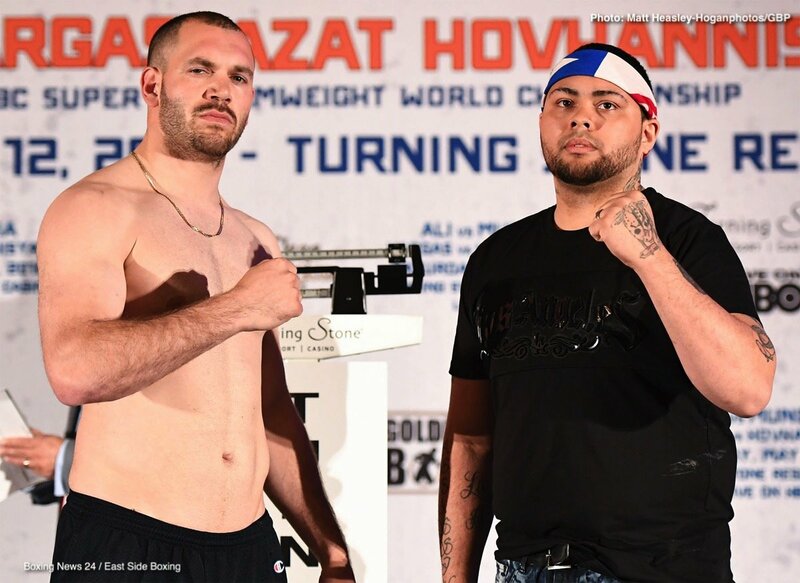 ET, and the first fight begins at 6:30 p.m. ET. 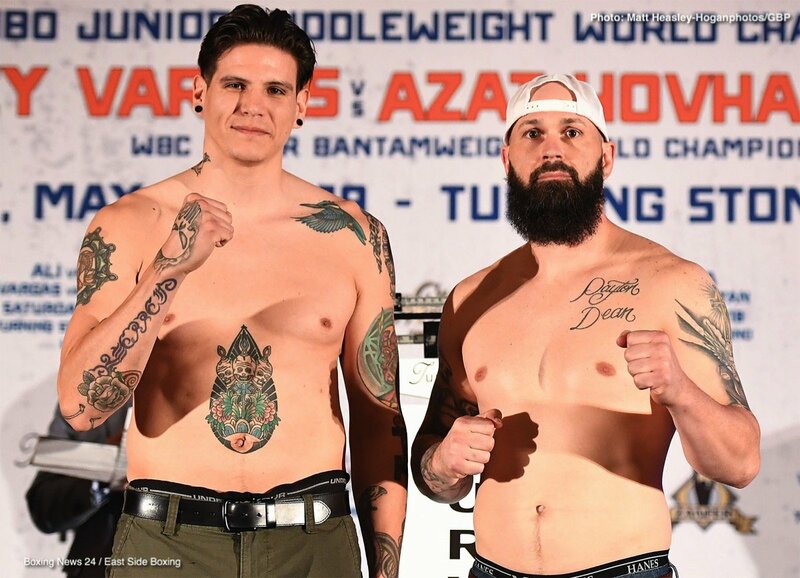 The doubleheader will be televised live on HBO World Championship Boxing beginning at 10:00 p.m. ET/PT.